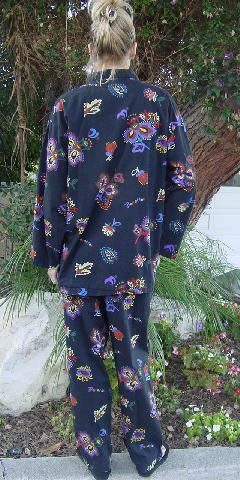 This vintage soft nightwear is by United Colors of Benetton. 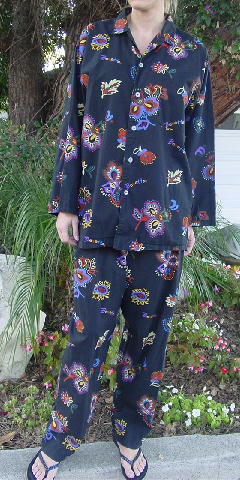 They have a black background with a flower and leaf design pattern in red, blue, yellow, green, purple, black, and apricot. Benetton is also all over in different color letters. 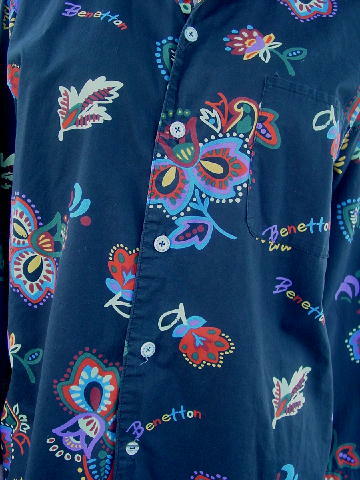 There are five buttons down the front, four of which have United Colors of Benetton on the front; the last button is different. The upper button is missing.